The Foundation is an international publisher, with its own series of ISBN numbers. It currently publishes a monograph series entitled "Grzybowski Foundation Special Publications". Spec. Publ. 1 - "The origins of applied micropalaeontology: The School of Jozef Grzybowski" Edited by M.A. Kaminski, S. Geroch & D.G. Kaminski, 1993, ISBN:83-901164-0-5; 336 pp. Spec. Publ. 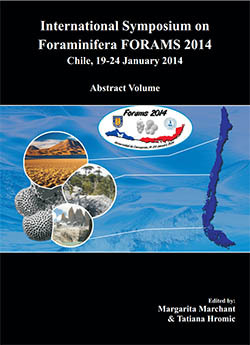 3 - "Proceedings of the Fourth International Workshop on Agglutinated Foraminifera" Edited by M.A. Kaminski, S. Geroch, & M.A. Gasinski, 1995, 301 pp. Spec. Publ. 5 - "Contributions to the Micropaleontology and Paleoceanography of the Northern North Atlantic" Edited by H.C. Hass & M.A. Kaminski, 1997, ISBN: 83-901164-5-6 . 285 pp. Spec. Publ. 7 - "Proceedings of the Fifth International Workshop on Agglutinated Foraminifera" edited by Malcolm Hart, Mike Kaminski and Chris Smart, 2001, ISBN 83-901164-9-9. 479pp. Spec. Publ. 9 - "Proceedings of the First Italian Meeting on Environmental Micropaleontology" edited by Rodolfo Coccioni, Simone Galeotti, and Fabrizio Lirer, 2004, ISBN: 83-912385-5-5. Spec. Publ. 14 - "Eighth International Workshop on Agglutinated Foraminifera, Cluj-Napoca, Romania September 7–13, 2008." ABSTRACT VOLUME Edited by: S. Filipescu and M.A. Kaminski. ISBN 978-973-610-652-1. Spec. Publ. 15 - "Seventh Micropalaeontological Workshop, MIKRO-2009, Sw. Katarzyna, Poland September 28-30, 2009." Abstracts and Excursion Guide Edited by: D. Peryt and M.A. Kaminski. ISBN 978-83-924869-7-8. Spec. Publ. 17 - "Integrating Microfossil Records from the Oceans and Epicontinental Seas", the Abstracts and Field Guide of the Eighth Polish Micropalaeontological Workshop and TMS Foraminiferal Nannofossil Group meeting in Krakow, June 27-30, 2011. Edited by: M. Bak, M.A. Kaminski, and A. Waskowska. 144 pages, ISBN 978-83-924869-8-5. Print version price: 10 GBP (Libraries, 19 GBP). Spec. Publ. 18 - "Ninth International Workshop on Agglutinated Foraminifera" - The Abstracts of the IWAF 9 conference held in Zaragoza, Spain, September 2012. Edited by L. Alegret, S. Ortiz and M. A. Kaminski. 144 pages. ISBN:978-84-92522-54-5. The New and Reinstated Genera of Agglutinated Foraminifera published between 1986 and 1996, by M.A. Kaminski. The New and Reinstated Genera of Agglutinated Foraminifera published between 1996 and 2000, by M.A. Kaminski.